This is a quick tutorial that demonstrates just how easy it is to backup an external device, such as a flash or hard drive, to a cloud backup account with ZipCloud. But first off, why do you need cloud backup in your life, and why should you backup your external device at all? An external device can store important data which can be carried on your person from place to place. However, this is also a disadvantage; since it’s a physical storage unit, this means you have the ability to pick it up as and when you please—which also means someone else could. And since most users don’t tie string between their belt and device, it’s not impossible for it to be left behind or lost. Throw in the fact that hard drive failure is always an impending threat, as is a natural disaster such as a fire, and you’ve got yourself a device that is far from flawless when it comes to security. So what makes cloud backup so special? Well, quite a number of things—and not just in regards to security maximization. Imagine you never have to carry around your backed up files again—ever. And imagine what it would be like if you could backup an endless amount of files and access them from any location in the world whenever you want. Sounds too good to be true, right? But it isn’t. This is just cloud backup, a revolutionary system that allows you to backup your files to a highly secure data center via an internet connection, and download them to a plethora of desktop and mobile devices 24/7. Ultimate convenience. Ultimate backup. This is the power of ZipCloud in a nutshell. Due to our data centers’ elite levels of file safeguarding, including Bank-Grade security, 256 bit encryption and data mirroring technology, backing up your external drives is a smart move to help protect your prized photos, music, videos, and documents. From your DESKTOP, open the ZIPCLOUD APP. Next, click SETTINGS, MANUAL SELECTION, BACKUP SELECTION, EDIT SELECTION. Tick the external drive, shown as E: here (Mac users click VOLUMES), to backup the entire contents, or expand using the + button, and then tick files and folders of your choosing. To finish, click OK to save this selection (as you’re doing a manual selection, if you previously had default backup settings—My Documents—selected, ensure this folder is now selected too). The external drive will be backed up when your next automated scheduled backup commences (the external device must firstly be connected). 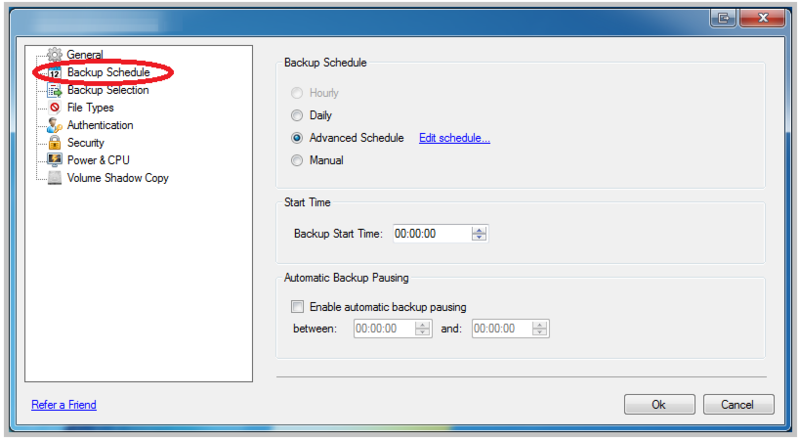 Your backup schedule can be modified by clicking the BACKUP SCHEDULE tab from the APP. 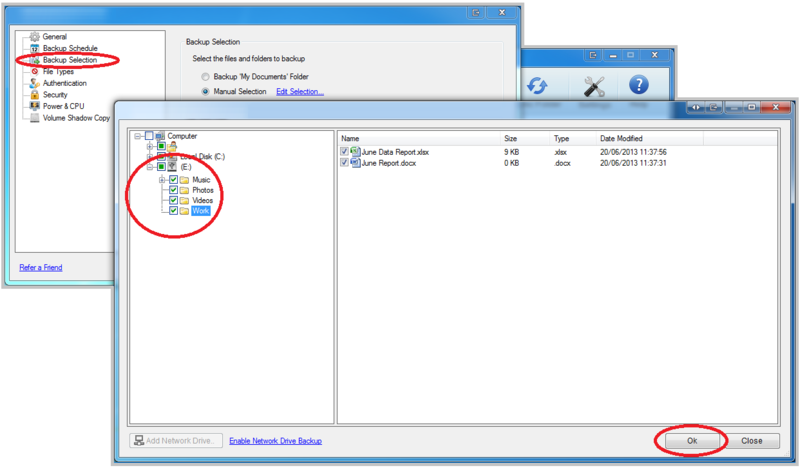 After the backup has completed, file and folder management is possible through your CONTROL PANEL on our WEBSITE. Just SIGN IN, select a DEVICE from the MY DEVICE shortcut menu, such as NEW PC here, click VIEW MY FILES, and finally select a drive, such as E: here. Files and folders can be browsed through, then downloaded (different versions), shared, previewed or deleted. Open MY COMPUTER, which will display all your drives, and locate your external drive, such as E: here. 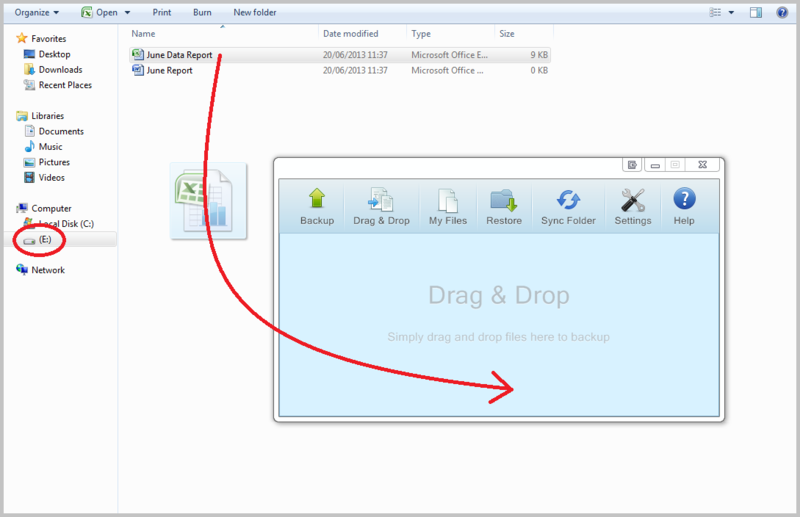 Open the ZIPCLOUD APP, click the DRAG & DROP tab, and finally click and hold the LEFT mouse button and drag each file to the APP. A backup will initiate after each drop takes place. And that’s how effortless external drive backup really is with ZipCloud. If you’d like to experience our services for yourself, along with our many acclaimed features such as File Sharing and Syncing, why not check out our FREE cloud backup trial now?